Due to a cancellation we now have ONE place available on this adventure! Get stuck in to a real adventure this summer - in just three days experience the best cycling routes and off-road spots in the Peak District and buckle down for two nights camping in the wilderness! If you're already familiar with bikepacking you'll know how fun it is to strap the essentials to your bike and get out exploring! If you haven't been before, bikepacking is about making the most of your adventure time and being as self-sufficient as possible - seeing more off the beaten track, with just your bike and basic gear for a few days and nights out in the wild. The best thing about it is that you can fit it into a weekend - usually spending your days cycling through fantastic scenery on trails and at night setting up camp in a remote, beautiful spot and eating dinner round the fire. You might already have all your own gear and are keen to explore a different area with a guide, or you might be a regular off-road cycler or mountain biker ready to learn a new style of adventure - this weekend is made for you! You'll spend most of the time outside with experienced bikepacking professional Pete, learning and consolidating basic bikepacking skills - such as what gear to take, how to pack, bike maintenance, loaded riding, navigation, and the basics of camping with your bike. On Friday morning you'll meet Pete to go through kit, what to take, how to pack the bike, basic bike maintenance, and route planning. 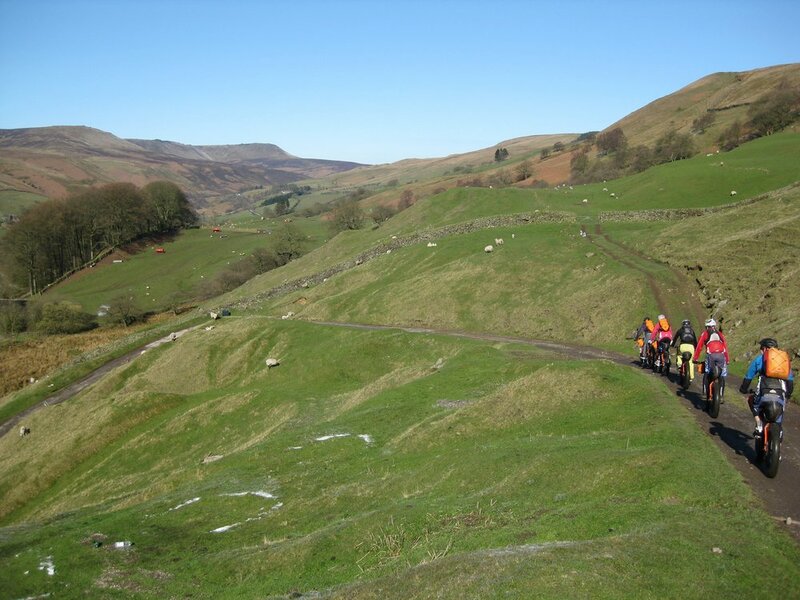 You'll then head out into the Peak District for a full day riding off-road for around 40 miles, with plenty of skill and technique sessions along the way, and you can choose whether you want an easy, intermediate or really challenging ride - it's up to you! On Friday night you'll finish the day at a beautiful secluded wild camp spot in plenty of time to set up before it gets dark. After your first night under the stars, you'll have breakfast together and pack up with a quick group brief and head out on your second full day of riding, again around 40 miles. You'll go even further into the National Park to get really remote - again with regular stops and sessions to refresh your skills, experiment with different techniques and improve your riding and balance. There will also be some free time to cover any other skills that you want to learn about so you can make the most of Pete's expertise! You'll make your way to another camping spot to enjoy your second night in the wilderness - fall asleep listening to the sounds of nature without another group in sight. Sunday will be more leisurely - you’ll have a more relaxed ride starting in the morning with a stop for lunch and you'll likely finish at a local cafe in the early afternoon. 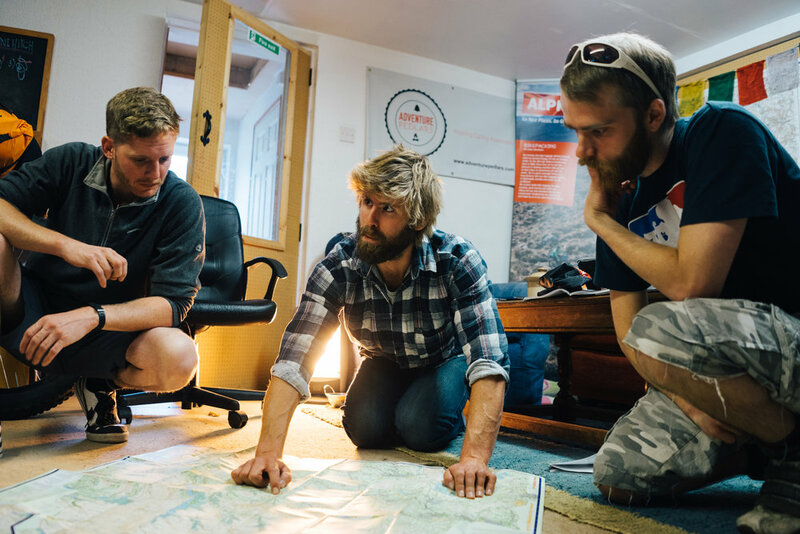 When you arrive back at base you'll unpack your kit and have some time to ask Pete for any final advice and tips for your future bikepacking adventures. After that you're free to head home or carry on exploring! 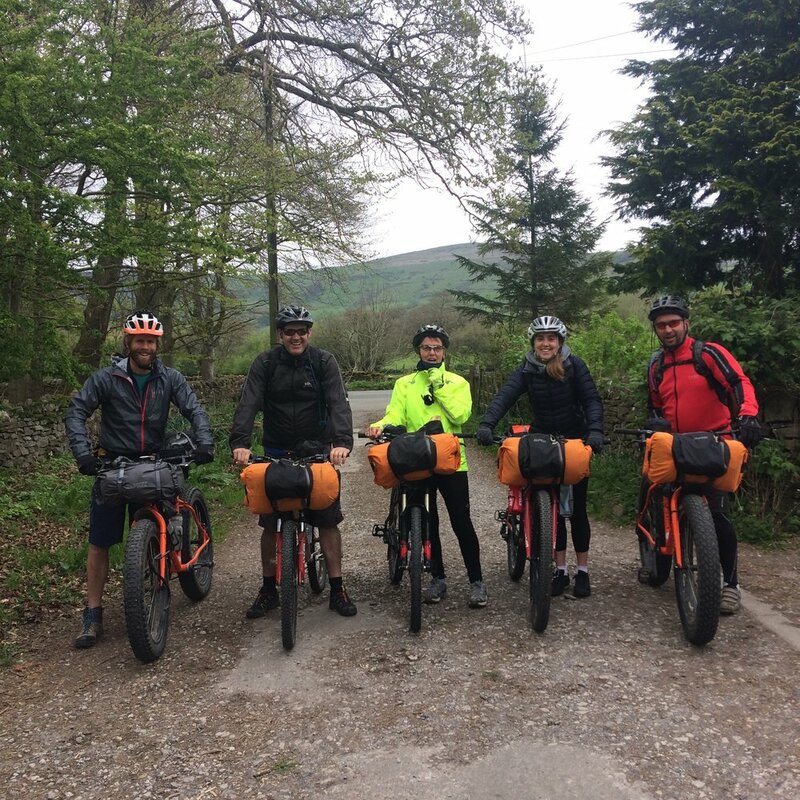 Although this adventure is open to beginner-level bikepackers, due to the longer rides and bigger days you'll need to have some experience of mountain biking and be able to cycle around 40 miles per day, as well as being happy to sleep outside for two nights. You are welcome to bring your own bike (we recommend a hard-tail mountain bike) and equipment or you can hire it all from us. All you need to bring is a sleeping bag and a sense of adventure - we can guarantee you'll have an amazing time and come away with more skills, knowledge and the desire to organise more of your own adventures! If you don't yet have the above experience or you'd prefer a more relaxed introduction to bikepacking, we are running a two-day Bikepacking for Beginners Course in May where you can learn all the basic skills you need, experience wild camping for one night and enjoy slower-paced, shorter rides. Our recommended kit list for bikepacking adventures is HERE, but please feel free to adjust this list based on your experience and what works for you. Please note that a sleeping bag is essential but you can hire the rest of the kit from us (see below for info on the packages available). We'll be based at Marston Farm in the lovely Hope Valley in the Peak District. If you're coming by train Hope Valley station is only 2 miles away! You have the option of staying in a shared room at the farm bunkhouse on Thursday night before the weekend for just £17 - including access to secure bike storage, shower, kitchenette, bike wash and workshop. If you'd like to book a space please email Alex (alex@explorersconnect.com). BOOK NOW to take advantage of our discounted earlybird pricing! You'll need to pay a £75 deposit when booking with the balance due by 11th May 2018. There are only SIX SPACES on this adventure course so book now to avoid disappointment. Click here to join book now!